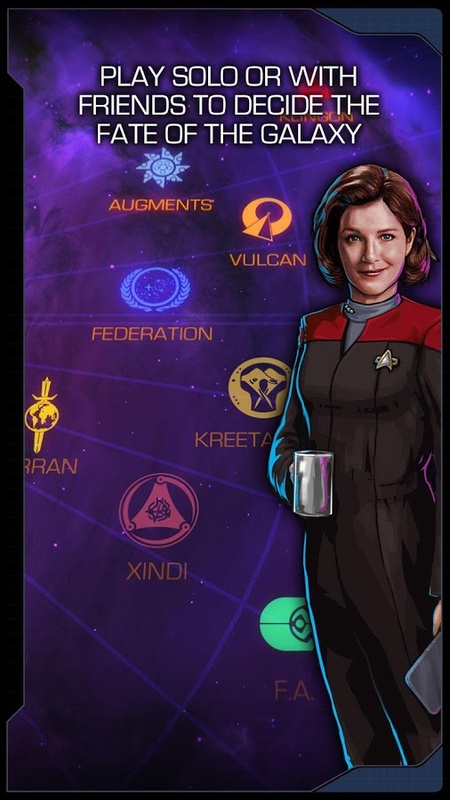 We covered the development of Disruptor Beam's Star Trek Timelines mobile game last year when they released a video intro hosted by none other than Q (John De Lancie). That game is finally available in the Play Store, and it's free. Well, free-ish. 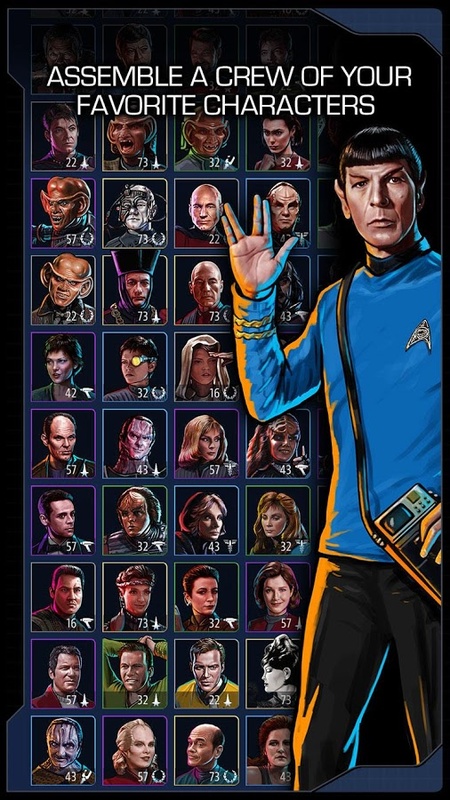 There are a boatload of in-app purchases, which is funny when you consider they don't even have money in the 24th century. 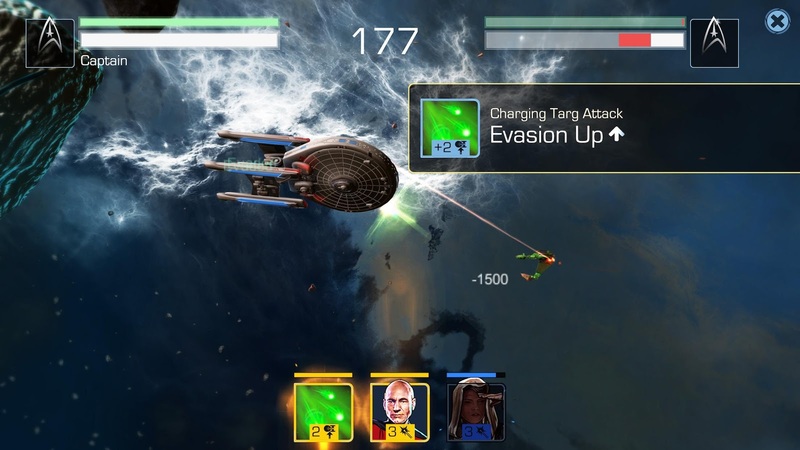 Star Trek Timelines is an adventure-strategy game that brings together technology and characters from all eras of the Star Trek universe. No, not the Abrams-verse, the good one. 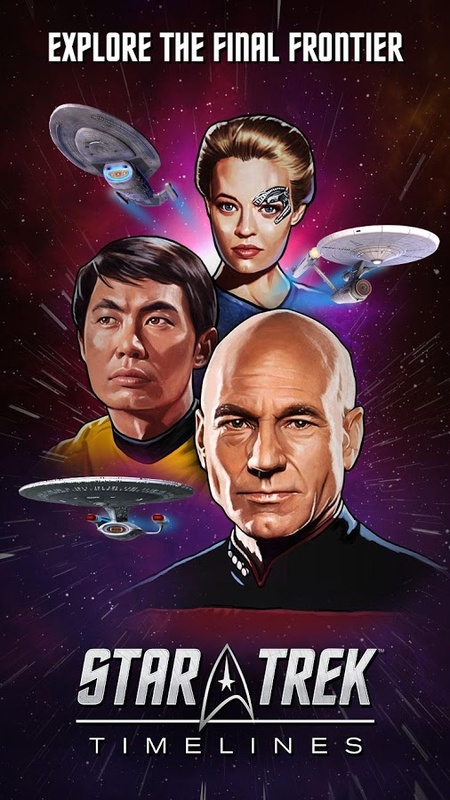 There's content from The Original Series, The Next Generation, Deep Space Nine, Voyager, and Enterprise. 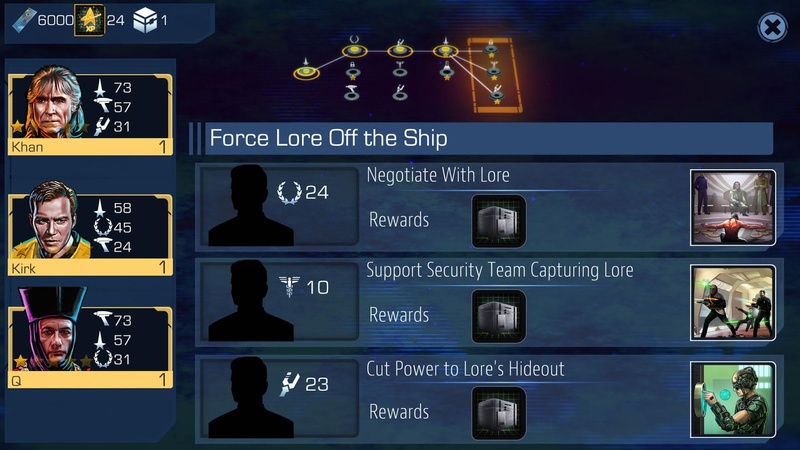 You start with a basic ship and crew, but can unlock more rare items and characters by completing missions. 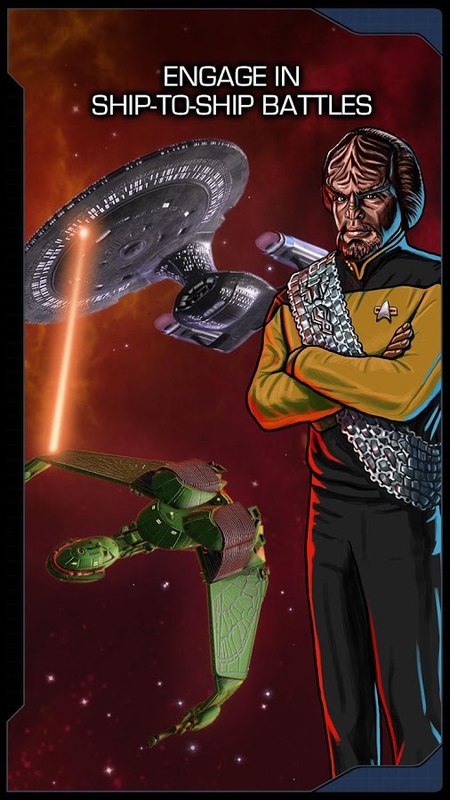 The writing in this game seems noticeably better than a lot of free-to-play games, and there are voice overs by John De Lancie throughout to explain the story. 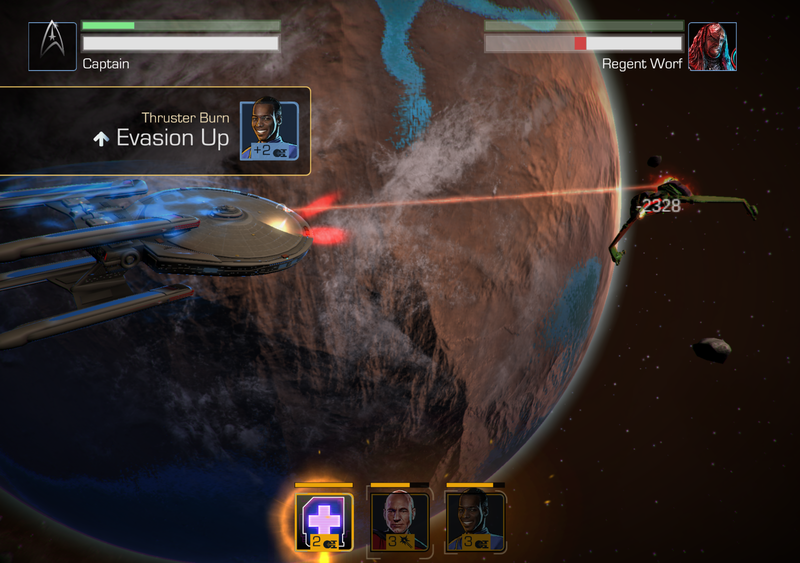 The space battles look pretty great, and the gameplay seems like it'll be fun for Trek fans. 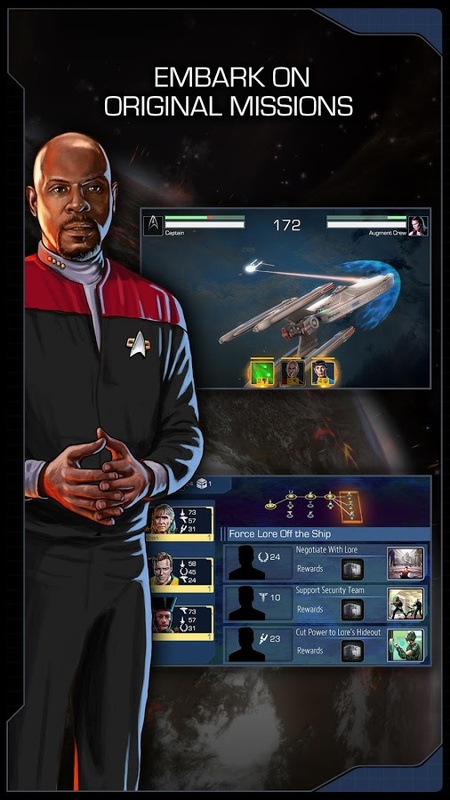 Many of the missions involve matching your crew with tasks that best suit their stats to get the outcome you want. Some players are noting bugs with the UI and crashes, so modify your expectations accordingly. There are three currencies in the game, one of which you can buy with real money. Some features are also locked until you make a purchase, for which you earn VIP points. The more points you have, the more perks you get. It has the potential to get grindy, but I haven't played it enough to say for sure. 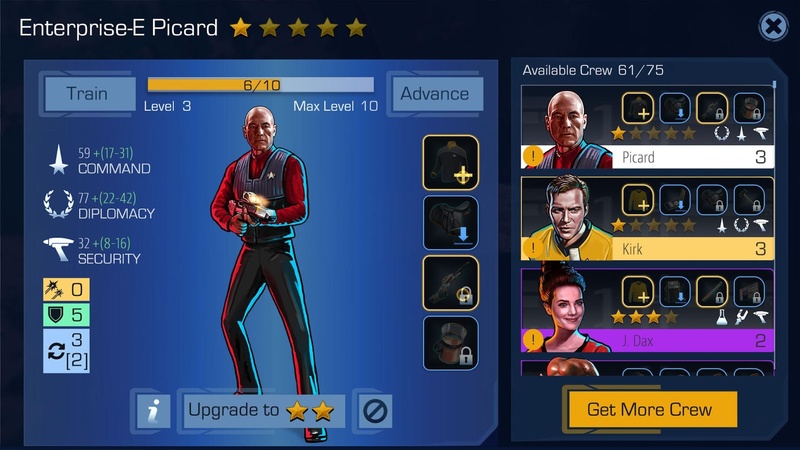 If you're a Star Trek fan, you'll probably be willing to give it a shot anyway.